Rot, J.C, Bonsangue, M.M, & Rutten, J.J.M.M. (2015). 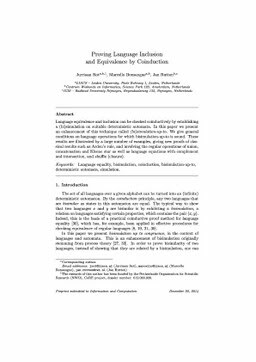 Proving language inclusion and equivalence by coinduction. preprint (not CWI, to be used with submitted papers).